A couple of weekends ago, I took my daughter, who had just arrived from a two month Australia-New Zealand holiday, to Dusit Thani Hotel for a little R&R. As you might have noticed, I love staycations, as it allows me to have a mini-holiday without even having to leave my city. 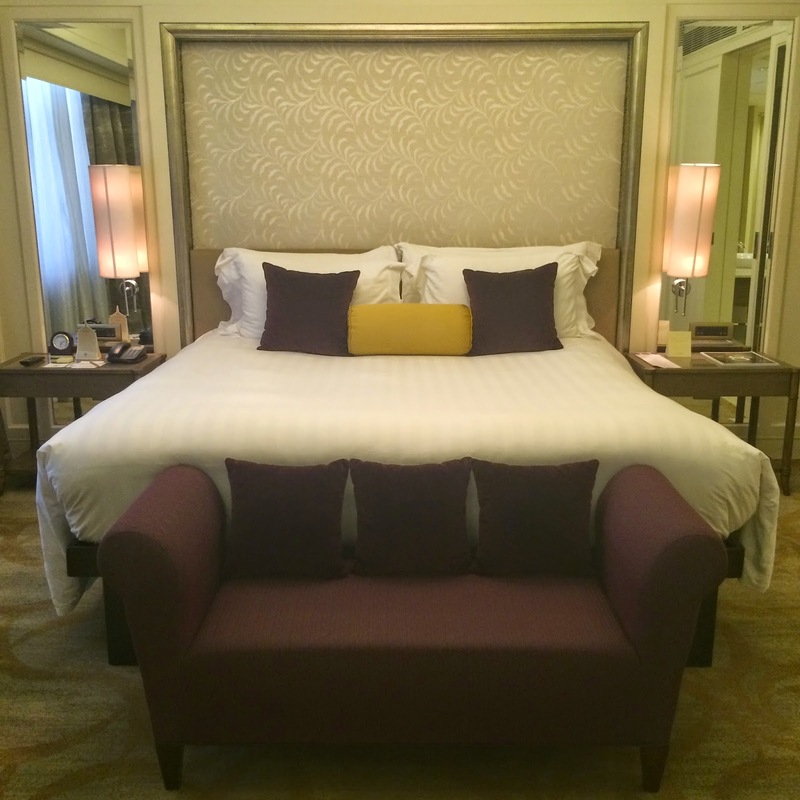 Dusit is currently in the process of renovating some of their rooms and we were fortunate enough to stay in one of them. The style is a little more modern, and the suite we got had a huge bathroom (like I could literally throw a party in there!) and a cozy receiving area. Our room was on the 16th floor, just one elevator ride away from the Executive Lounge, where one can go for snacks and drinks all day. My daughter definitely made use of that perk, bringing me crinkles and other random pastries every time she had the munchies. The king sized bed is ultra comfy and gives enough space for both me and my super likot daughter. For the first time ever, she slept next to me without me feeling even the slightest kick from her. Yay! Good Sleep! Something that eludes me most of the time. Staycations are probably the easiest way to get away from real life even just for a day or two. Dusit is also really close to the mall in case you need anything or want to watch a movie or eat out. My staycations are usually opportunities for me to zone out and forget everything else exists. If you think it's too excessive, like I used to, think again- sometimes we need to spoil ourselves since a lot of us work so damn hard! 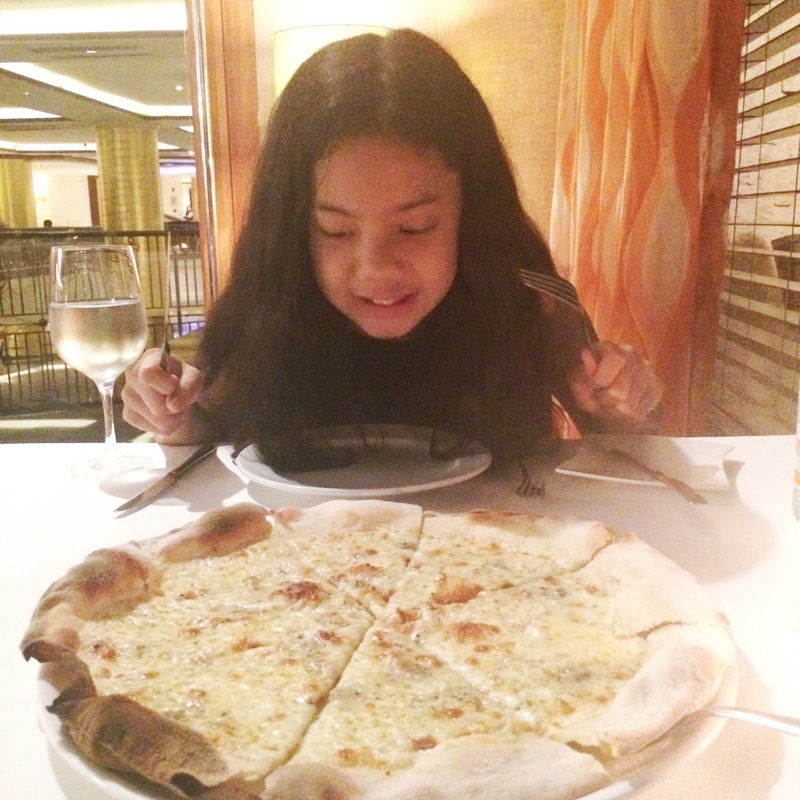 Dusit has 3 4 food outlets to choose from, my favorite being their Thai restaurant, Benjarong, but for something different, Ananda and I decided to try Tosca for some Italian food. My daughter likes anything with cheese so the Quattro Formaggi pizza was a definite must for this meal. She also had the Risotto Milanese and needless to say, was in a food coma after and went straight to sleep when we got back to our room. 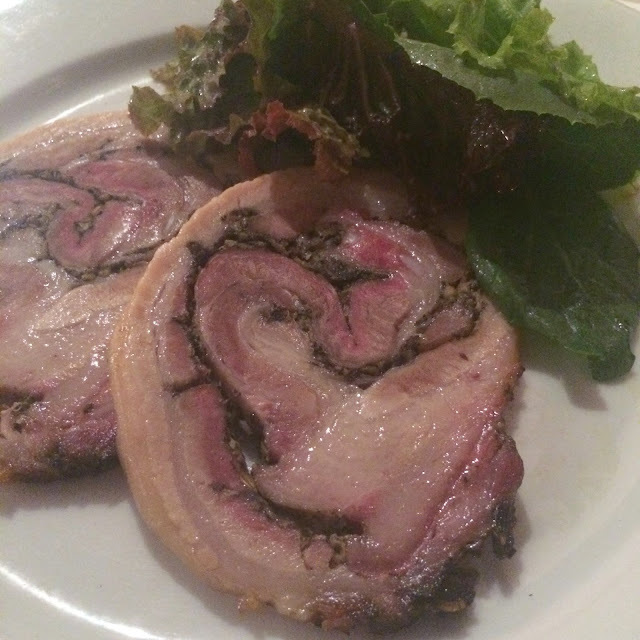 I had the porchetta. I'm not a big pork eater but when it's roaster and has crispy skin, I can't resist. This one comes with a salad on the side to counter the heartiness of the pork. So yummy and flavorful but heavy! I suggest sharing this and something else so you can try a few dishes. It's always wonderful to be able to spend time with my daughter outside of our home. It gives us the opportunity to talk more and catch up on each other's lives without all the distractions of the tv or her playmates, or for me, work. Good food and a comfortable bed, plus not having to pick up after ourselves certainly helps. 'Til next time, Dusit Thani! Thanks for having us!